for example, is largely excluded from the field of institutionally recognized art, usually on moral grounds (although, Groys points out, criticism of the morality of the market never leads to calls for a similar exclusion of art produced under market conditions). Arguing for the inclusion of politically motivated art in contemporary art discourse, Groys considers art produced under totalitarianism, Socialism, and post-Communism. He also considers today’s mainstream Western art--which he finds behaving more and more according to the norms of ideological propaganda: produced and exhibited for the masses at international exhibitions, biennials, and festivals. Modern art, Groys argues, demonstrates its power by appropriating the iconoclastic gestures directed against itself--by positioning itself simultaneously as an image and as a critique of the image. 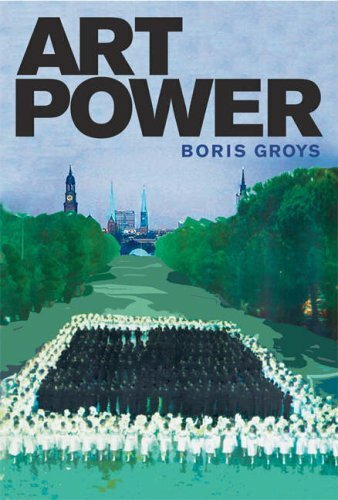 In Art Power,Groys examines this fundamental appropriation that produces the paradoxical object of the modern artwork.